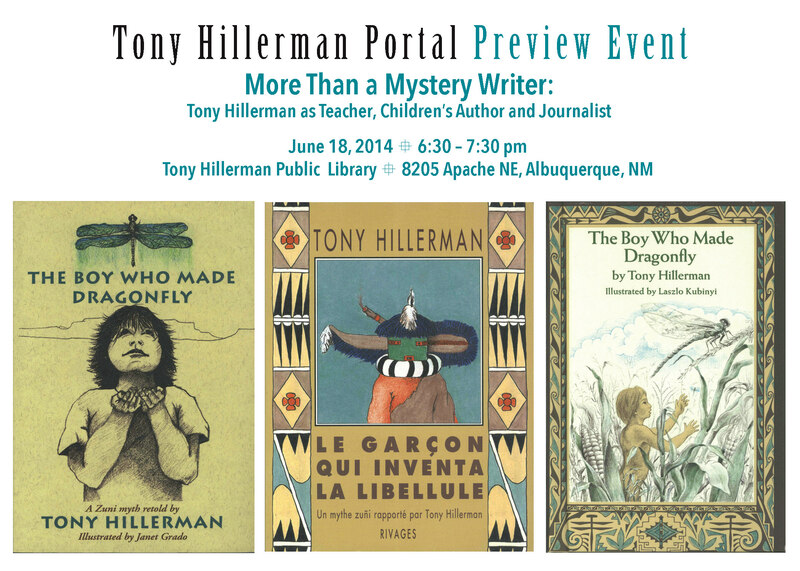 Please join University of New Mexico Libraries at a free presentation about our exciting project documenting the life and writing of Tony Hillerman. Discover resources for K-12 Teachers & Public Librarians at ehillerman.unm.edu – free for anyone to visit and use. Tony Hillerman (May 27, 1925 – October 26, 2008) was an award-winning American author of detective novels and non-fiction works best known for his Navajo Tribal Police mystery novels. He was also a respected journalist, teacher and children’s author who taught for many years at the University of New Mexico in the Journalism Department. The Tony Hillerman Portal is the comprehensive resource on Tony Hillerman’s works, and provides access to electronic copies of his manuscripts, papers and correspondence.